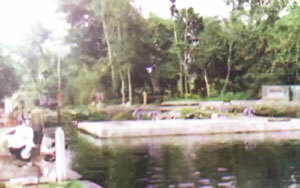 Another naturally scenic pool in Lumajang is Semeru Lake. It is Located in Nguter village, in Pasirian district, about 21 km from Lumajang. It has clear and hygienic water. Usually people visit on Sundays and on holidays occasion, especially on Idul Fitri and Lebaran Ketupat. The facilities that available include changing rooms, a garden, and parking area. Many people have family recreation and swimm here. Visit Semeru Lake and enjoy its water, which come from the natural water source of Mount Semeru.